Is Tax Incentive for College Football Season Ticket Holders Fair? If this nation is going to assess the progressiveness—or lack of progressiveness—of charitable tax deductions, or any tax breaks for that matter, we should be looking at questions of who benefits, by how much, and for what reasons. Writing for Bloomberg News, Curtis Eichelberger and Charles Babcock describe a relatively little-publicized tax incentive: according to the highly regarded sports economist Andrew Zimbalist, many colleges require charitable donations to the school in return for the privilege of buying tickets at face value. The Bloomberg writers state that the ticket purchasers can then write off 80 percent of the value of the mandatory donations against their taxes, which costs the federal treasury $100 million a year. That’s a deduction allowed under the charitable tax deduction, right? Should that be protected? 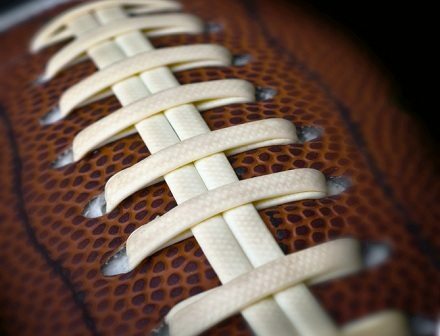 Should nonprofits go to the mat on the charitable deduction in order to protect season ticket holders buying tickets for college football games? Marc Owens, the former IRS commissioner for tax-exempt entities, explained that college football is very popular with a large segment of adults (loyal alums who vote). But he didn’t explain that season tickets are a relatively pricey discretionary purchase that isn’t typically in the shopping basket of average Americans. As best as we can figure, for the (non-alumni) public to buy season (non-tournament) tickets, the costs aren’t cheap. NPQ examined these costs at some of the nation’s top-ranked football programs. Season tickets are $395 if you want to see the Crimson Tide roll at Alabama. If you want to cheer on the Ducks at Oregon, prices range from $396 to $486. At Kansas State, season tickets for non-young alumni go for $210 to $355. Posted prices for season tickets for the Notre Dame Fighting Irish are between $1,250 and $2,000 in addition to the tickets’ face value. Louisiana State University makes its required charitable donations exceptionally clear. The LSU website explains, “Approximately 45,000 football season tickets require a donation to LSU’s Tradition Fund for the right to purchase those tickets.” To get on the list to even have a chance for a new season ticket, one needs to work on his or her “LSU Philanthropic Priority Point order,” which is based on contributions to the LSU Tradition Fund, the Tiger Athletic Foundation and academic giving. The LSU website states, “For the Tradition Fund, points are awarded based on 1 point per $1,000 in contributions. For academic giving, points are awarded based on 1 point per $4,000 in contributions. For TAF Donations, 1 point is awarded per $1,000 in contributions for ticket purchases and 2 points per $1,000 in philanthropic donations.” The LSU Priority Point system must work; this year, LSU had its ninth straight season of selling out season tickets with a total of 68,772 tickets sold. The Bloomberg article reports that 67,000 season tickets garnered mandatory donations, and to attract more, LSU is expanding the number of its luxury box seats and premium seats at Tiger Stadium, which, with more than 92,000 seats, is larger than any NFL stadium (of the top 20 U.S. football stadiums in terms of capacity, 18 are for college teams). The sixth-ranked Ohio State Buckeyes, charging the public between $490 and $560 for season tickets, has apparently raked in the most from mandatory donations on top of the season ticket costs, according to data received from 34 state-sponsored universities in the six largest football conferences for their most recent fiscal years (Bloomberg surveyed 54, but some don’t require mandatory contributions and others somehow couldn’t supply the data—which they should, if donors are writing off contributions to the schools for tax purposes). The Buckeyes were first in mandatory donations with $38.7 million, followed by the LSU Tigers in second place with $38 million, and the University of Texas Longhorns with $33.9 million. With more than 1,000 universities eligible to demand these donations for season tickets, Zimbalist says it’s possible that donations linked to season tickets amount to $1 billion annually.